We occasionally get requests for live edge counter tops and table tops. Here's how it's done . 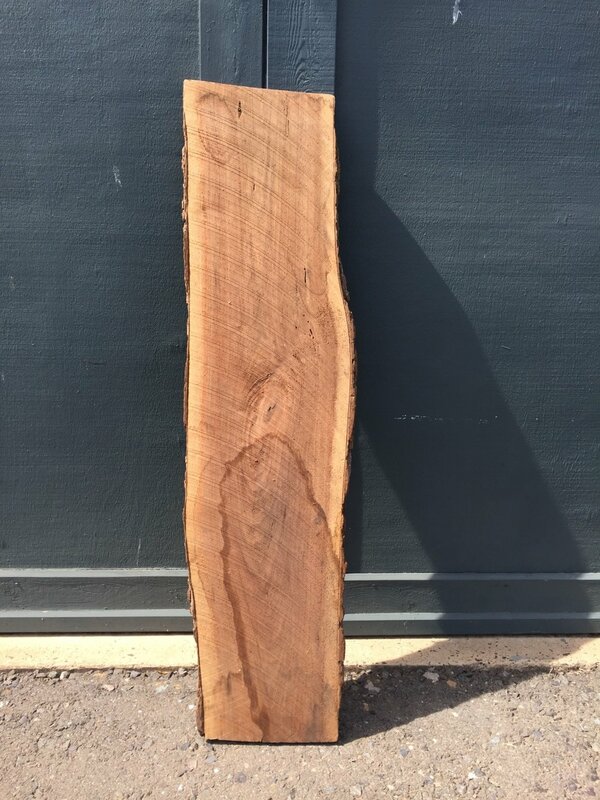 Get a slab of live edge lumber - walnut in this case - with nice character. Send it through the wide belt sander to smooth both faces. Straighten one edge (rough rip on the band saw, and true it up on the jointer). Cut to shape. We cut this one to fit the template for the counter-top. Remove bark with a spoke shave and sand the live edge. Tape off any naturally-occurring holes. Final sand and send to finishing. Apply clear coat - no stain needed for this beauty! Ready to install.